Ready To Roll: 5 Essential Vehicle Checks To Make Before A Road Trip - Muscle Cars Zone! If you’re planning a road trip, in order to have a smooth ride and stay safe, you should make some essential vehicle checks before you hit the road. The number of Americans taking road trips is on the rise: 39% of vacations taken in the U.S. in 2016 involved hitting the highway. If you’re thinking of a road trip yourself this year, you’ll want to make sure your vehicle is prepared for the journey. There’s nothing like seeing the country from the comfort of your car, but you don’t want something to break down when you’re miles from home. Here are five essential vehicle checks to make before embarking on your road adventure. Your tires are the only thing preventing your vehicle from making contact with the pavement, so they should be in great condition before they rack up more mileage. Tires have a limited lifespan so if yours have reached their mileage capacity, springing for a new set will bring peace of mind during your trip. If they don’t need to be replaced yet, make sure they’re inflated to the correct pressure according to your vehicle’s manual. Proper tire pressure improves gas mileage and ensures even tire wear. Just as important is making sure they still have plenty of thread left on them. When in doubt, have them checked by a mechanic or your dealer. Your vehicle’s oil and fluids should be changed according to your scheduled maintenance to keep the engine and parts lubricated and functioning normally. In addition to your brake, steering, coolant, and transmission fluids, top off your washer fluid before a long trip so your windows will maintain good visibility. Checking these essential fluids is caring about the heart of your car. Cold weather and long dormant periods of not driving your vehicle can drain energy from your battery. Like tires, your car’s battery will last only so many years. Check the battery power to make sure it’s still strong and charge or replace it if necessary. Your brakes should also be in great condition before taking a vehicle on a long trip. Squeaking noises or mushy feeling brakes indicate they or the brake pads need to be replaced. Quality brakes help prevent accidents. Although your car won’t pass an inspection if a headlight or turn signal isn’t working, bulbs can burn out before your next sticker is due. Check to make sure both headlights and turn signals are illuminating and working properly. Can I Perform These Checks Myself? If you have car maintenance knowledge and experience, there’s no reason why you can’t perform these checks yourself. Just be sure you select from the top jack stands available so you can safely inspect your vehicle from underneath and replace components. Otherwise, your dealer or a trusted mechanic can inspect your vehicle for you and get it up to speed with its scheduled maintenance list. Road trips are exciting and a lot of fun. 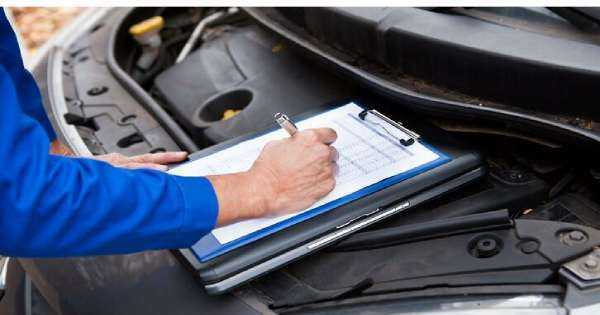 Performing these five essential vehicle checks will help your mind stay focused on your travels and traveling companions—not your vehicle’s problems. Here at Muscle Cars Zone we’re dedicated to bringing you the latest automobile maintenance and buying tips. If your car is too old or unsafe to take on a long excursion, then check out our guide to buying a car for a U.S. road trip.